The act of gardening can also act as a way to commemorate the important things in your life. Lindsay says, “I honor the gardeners in my lineage and the places I’ve loved by planting their favorites because it makes me feel close to them.” She plants pansies and coleus for her mom, roses, and iris for her grandma, and geraniums to remember the island of Cyprus where they grow very large. Although she now lives in different state than her parents, they still share their passion for gardening by sending each other pictures of what they’re planting. “We have really similar growing zones, but their climate is a little warmer so they see plants emerging before I do. It’s like a fun sneak peek for what’s about to happen in my yard,” says Lindsay. Lindsay works as a Project Manager for Walmart’s Central Operations, located in Bentonville, Arkansas. Spending time in nature is important for her to bring balance to her professional life. “Gardening is also a great change of pace from my busy office job and helps me get my vitamin D,” she says. Her favorite things to plant include zinnias, morning glories, peonies, hydrangeas, butterfly bushes, pansies, spring bulbs, and succulents. “I like to focus on perennials and self-seeding flowers,” she explains. She’s newer to vegetable gardening, but she’s slowly adding more and more to her repertoire. A brown turkey fig tree is now part of her yard and she put in an asparagus bed last year. “I’m looking forward to harvesting that next spring since it takes a few years for asparagus to get established,” she says. A big proponent of soil health and sustainable, organic practices, Lindsay recommends working with your land instead of against it. 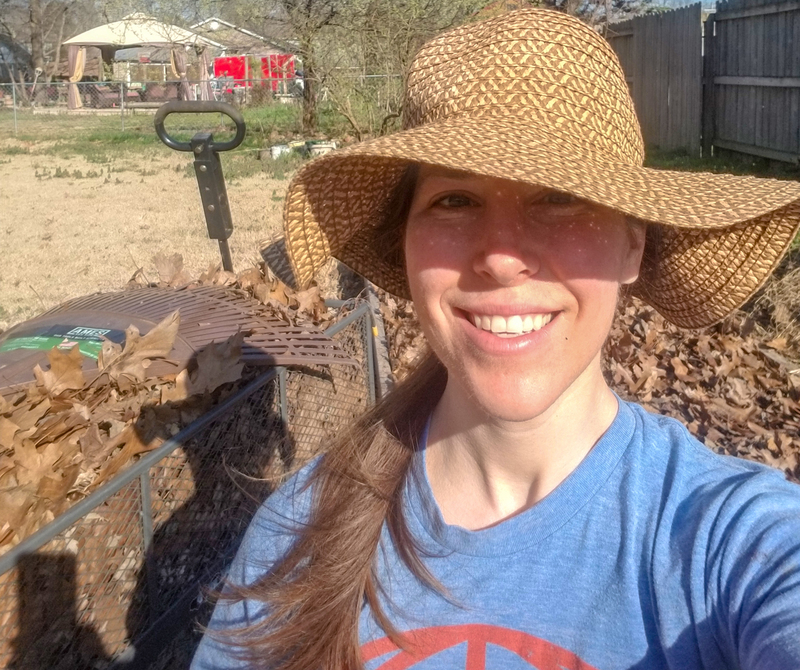 She says, “Sun exposure and soil type really do matter, so match what you plant to the conditions and climate you have.” Recently, Lindsay has started to explore permaculture practices to improve her soil, reduce unnecessary work, and make her garden more sustainable. Her latest endeavor, a method called hugelkultur, involves burying dead wood at the core of your raised garden beds. “The wood acts like a sponge to soak up the rain and releases the water slowly over time so you don’t have to water as often. 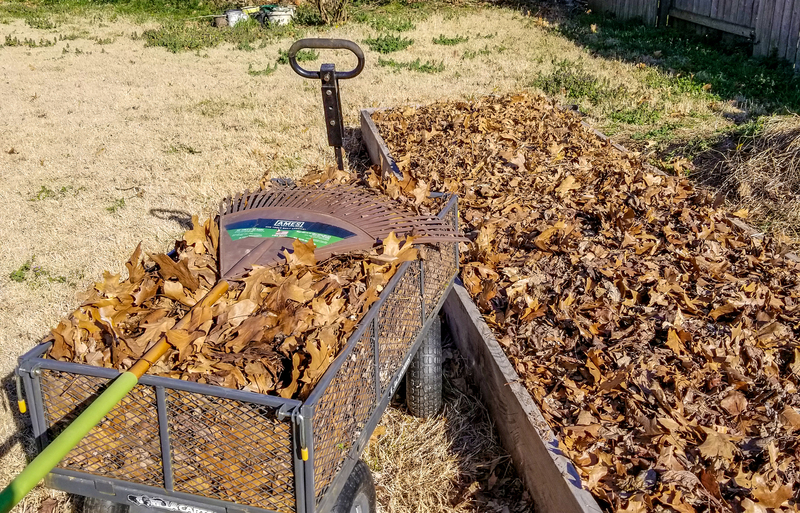 The tree trunks also break down a little each year so it self-tills—aerating the soil and injecting nutrients back into the earth,” she explains. Implementing in new processes like hugelkultur help Lindsay save time and energy in the long run. Lindsay is a great example of gardener who truly enjoys the toil of seedtime and harvest and takes care of the earth during the process. “It helps me appreciate life’s simple pleasures and makes me feel connected to the earth and to the people who are important to me,” she says. We couldn’t have explained the benefits of gardening any better, Lindsay.